Exciting media tours which take you behind the screens: explore TV-studios, drama settings, reveal Fake News. Insights Media Tours offers different perspectives and takes you inside the world of media. Travel with TV-professionals, learn with the media makers. Enjoy moving tours, workshops, events. Meeting point: Checkpoint Charlie, Berlin. Explore Berlin´s historic newspaper publishing district in a 2-3 hours walking tour covering the Axel Springer publishing house, the Museum of Communication and the public broadcasters ZDF and ARD. The tour ends at an extraordinary media pub at Friedrichstrasse train station. We will be visiting a media event, such as a live show in a broadcasting studio or music hall. After the show, you´ll have the chance to meet professionals from the editing or production teams and/ or the TV hosts. You´ll learn lots about what goes on behind the scenes and how news and media programs are produced. On this tour, you´ll learn about the media system in the DDR, the German Democratic Republic, where journalists had no freedom of the press. The tour includes visits to the former East German broadcasting studios and sound studios in Berlin. Transport is via public bus. This tour is available as a 2 hour or 4 hour program. 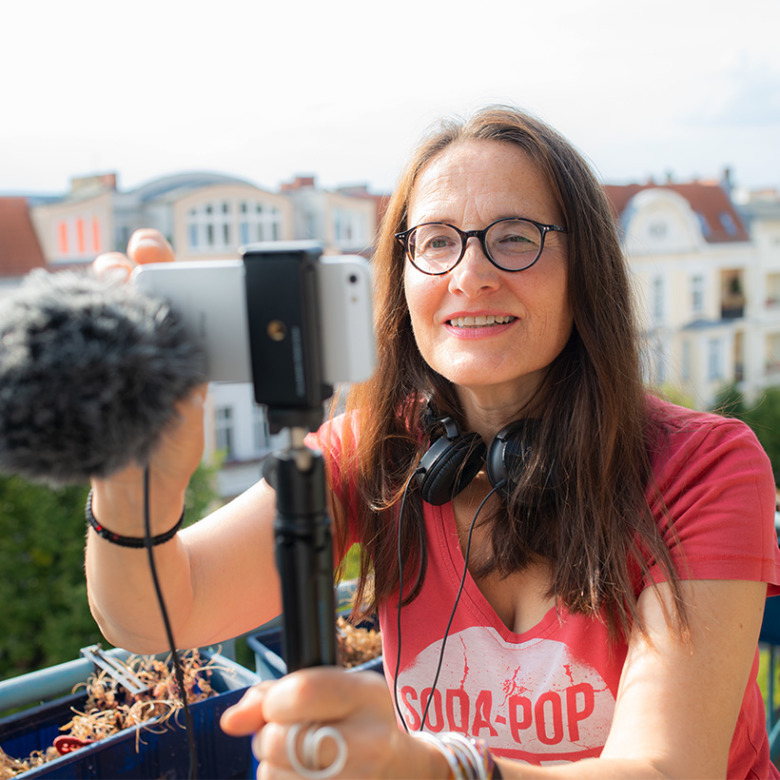 "In the coaching of Sibylle Trost I learned in just a day good new ways to storytelling and video construction, which I can implement in my web videos." 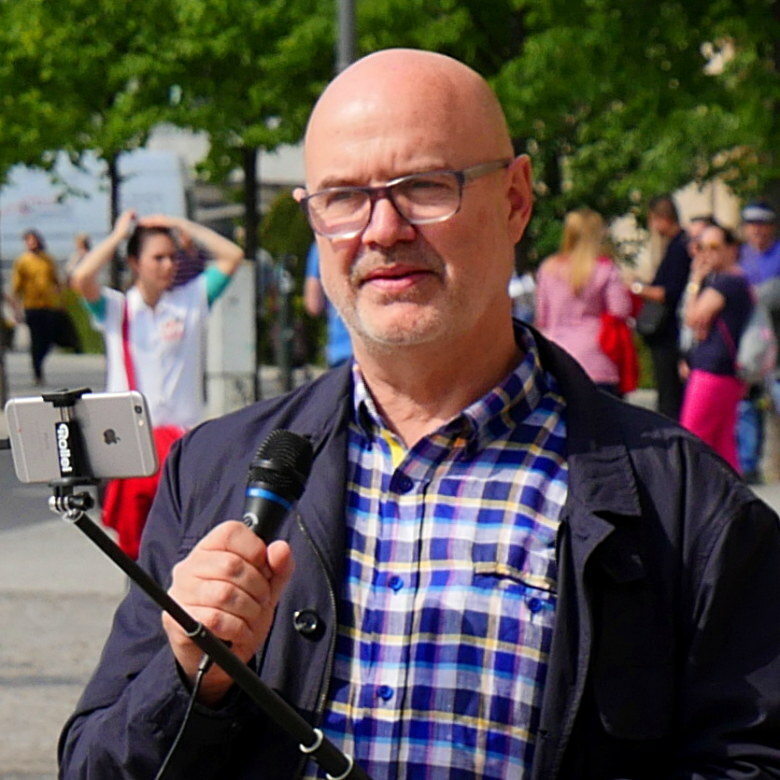 "The workshop was such an inspiration that I now have a TV studio in my pocket: iPhone, apps, microphones, LED lamp and mini tripod." Sibylle Trost is a Berlin based journalist and documentary filmmaker. For the renowned ZDF TV format 37 Grad she realised 24 outstanding films as author and director, and numerous TV reports and magazine articles. When the Wall fell in 1989, she was one of the first West journalists to make her way to stories from eastern Germany. Sibylle Trost founded Insights Media Tours in May 2015 with the aim of sharing insider media knowledge with others and supporting them on their way to becoming mature media users. The days when the means of production video and film were part of the knowledge of power are over. Media tours, workshops and events provide insights behind the scenes of the media landscape in Berlin. 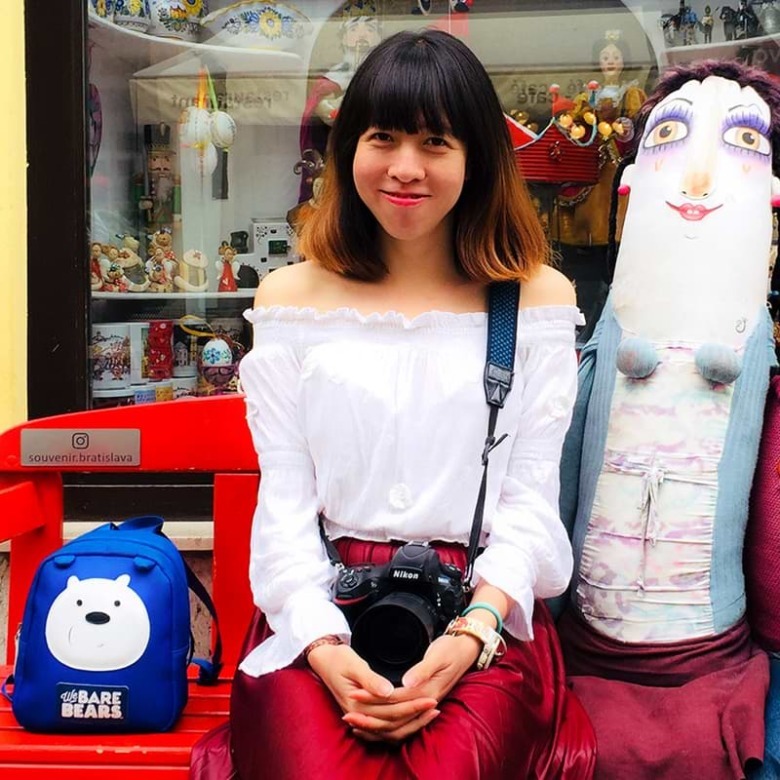 Phuong Hoang is a Vietnamese journalist, photographer and community activist, based in Berlin, Germany. She was born in Hanoi, a city that is more than a millennium old and the diverse centre of culture, politics and ecosystem in South East Asia. Hoang originally studied International Relations to become a diplomat but her life turned towards photojournalism and environmental activities. 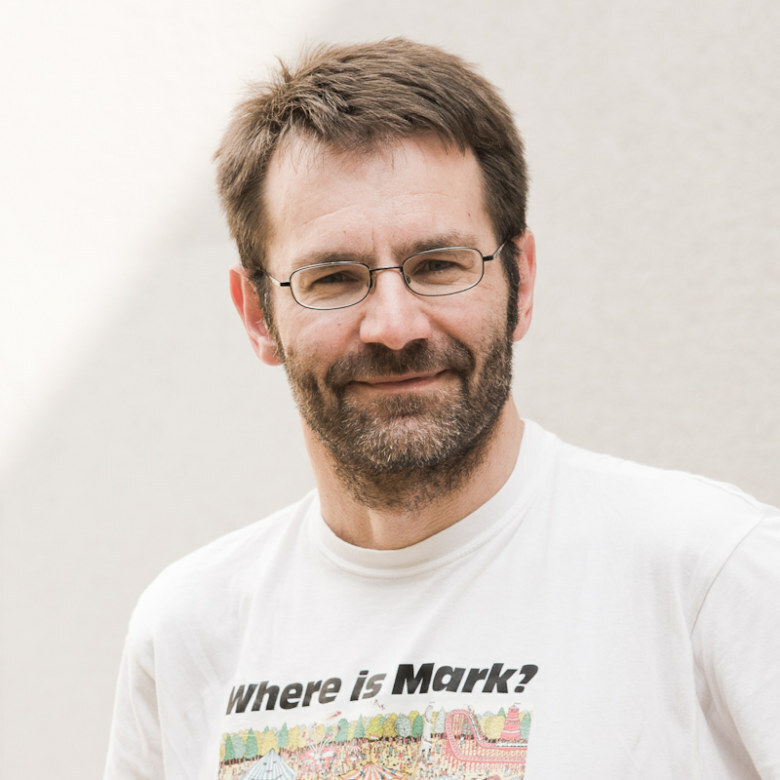 Holger Seidel is a cameraman and documentary filmmaker with a passion for investigative projects which allow him the time and space to engage with the protagonists and their stories. He also has extensive experience in stereo 3D production and has worked in TV production for many years. He has plenty of stories to tell on our studio tours. Franziska Berg is an actress, musician and music therapist. She tours Berlin as a singer with her own band. 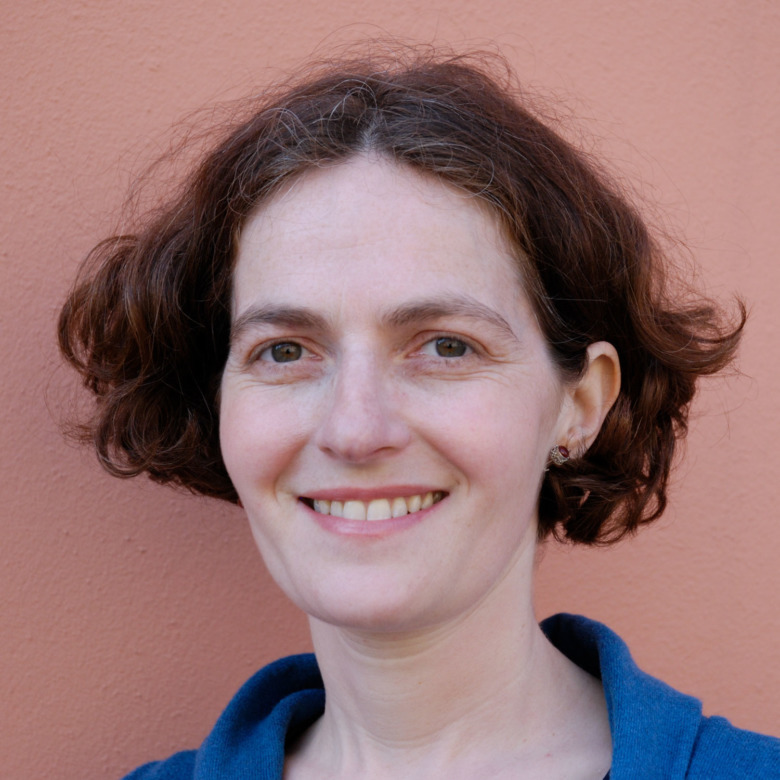 Franziska works for various NGOs, especially in the field of refugee aid. Besides her work in the therapeutic setting, she is active in the social field. Her passion is dancing, especially she likes the traditional Hawaiian Hula. Jochen Klug is a TV professional and video journalist. For him, the TV revolution began in the early 2000s; small, inexpensive, easy-to-use, camcorders delivered an image quality which was previously only possible with a huge professional camera. As a video journalist, he understands the potential of mobile journalism. Bloggers, NGOs or small businesses can publish their content on social platforms quickly and cheaply. Mia Eger is a freelance translator and English teacher with extensive experience in the culture and media sectors. Originally from London​, Mia has lived in Berlin for many years. ​She accompanies our English language Media Tours and offers an international perspective on the ​capital city. Any smartphone video needs good sound quality. But how does that work? Is the internal microphone sufficient? Which sources of error can be avoided? What is important? Before shooting a professional social media video with the Android smartphone or iPhone, there is a check-up: How noisy is the environment? TV studio in your pocket, but no ideo how to use it? Still dreaming about your own social media clips, a product video for your site or just a creative business-portrait? Professionals want to teach you all you need to know in one day. 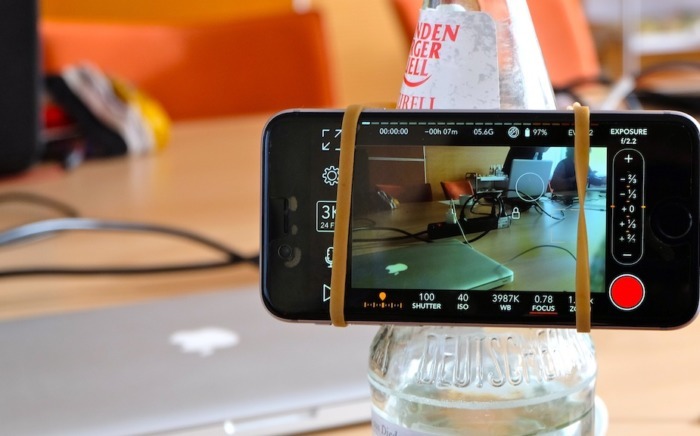 7 reasons to join a smartphone video workshop. 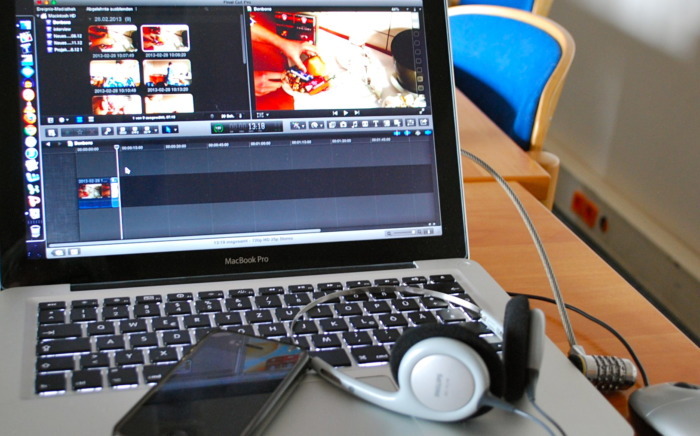 Create professional videos for website and social media with your smartphone: it works! In 2019 we will be offering courses again, but also one-to-one and two-to-one coaching. 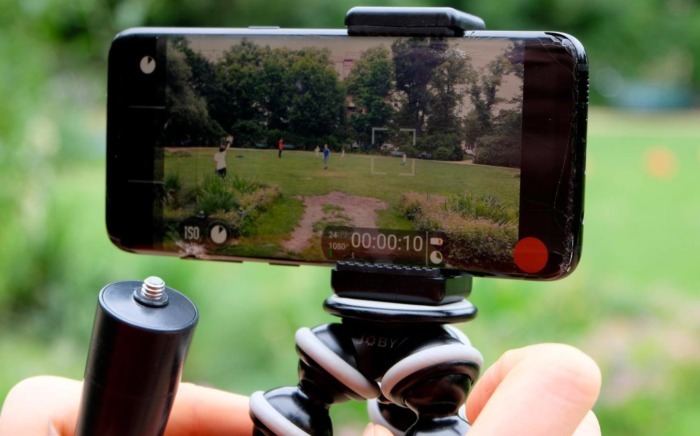 The experienced media lecturer and TV journalist Sibylle Trost works with various apps for iPhone and Android Phone. With theory input and lots of practical training for success: your own video - for website and social media.